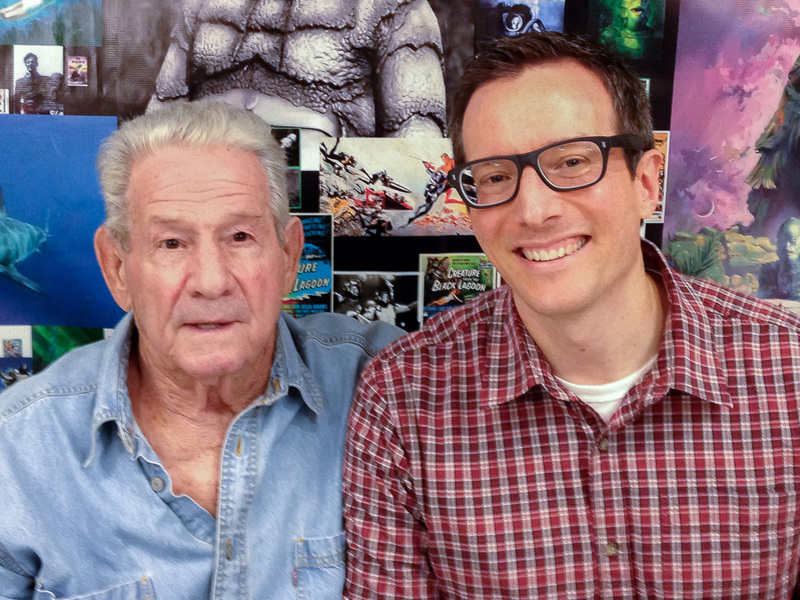 Today I had the pleasure of meeting Ricou Browning, the man who played the Creature from the Black Lagoon in all of the underwater scenes (which were filmed not all that far from where I live). He wore a diving belt to help him stay underwater and had to hold his breath for long periods of time because scuba equipment could not fit in the suit. He is the only actor to play one of the Universal movie monsters that is still alive and I noticed that he enjoys egg salad sandwiches. Thanks for the heads up Cindy!